It arrived!!!! I was able to pick up my Bernina 330 and it is beautiful! I took it out of the box and read through the manual so I could start sewing. But I will go into the sewing details in my next post. The foot control has a self storing cord which is really nice for transportation. It has an LED sewing light as well as a vertical and horizontal spool pin. I purchased the slide-on table so that I would have more room for bigger projects but you would not need this. It has a front load bobbin as well as a bobbin thread cutter, a cutter by where the bobbin is wound, and a cutter by the table. In my few days of sewing, I have found all three of the cutters very beneficial. It also has a needle threader which was confusing at first but very neat now that I know how to use it (it only took probably 3 times of using it to get the hang of it). It comes with the presser feet separate from the shaft which makes it easier to change the presser foot, but I am pretty sure that new feet that I purchase will be one whole piece. It has 40 different stitches, which includes one button hole, one alphabet, and 19 decorative stiches as well as the utility stitches. It has adjustable length and width for each stitch. Some of the features I really like are the 9 needle positions and the needle stop up/down button. I’m sure many machines have these features, but considering the Kenmore did not, I am enjoying the luxury of them. It also has a speed control as well as a start/stop button. The memory will hold 30 characters and has a pattern end button so it will automatically stop sewing at the end of the pattern that you put into the memory. There are arrows on the machine showing you exactly where to guide the fabric for winding the bobbin as well as threading the needle. The screen is very easy to read and just as easy to tell which stitch you are on. All of the basic stitches are on the machine and then you would just need the stitch pattern summary card or your manual for any stitches that are not displayed. I have had nothing but trouble since I purchased my Bernina 330 two months ago. Though it appeared simple in the store where I purchased it, it has proven to not be at all. After three separate times I attempted to sew a straight line on a cotton knit dress I’m making the bobbin bunches thread on the down side of the fabric. This has happened over and over and over again. I spent a pretty penny for this floor model and could not be more frustrated and fed up. My store will not give me my money back so I shall have to either have them fix the original to my satisfaction or choose another machine. I’m thinking possibly and automatic because this darn thing is too complicated. All I ever really wanted to do is sew a few dresses and tops and do some mending…now I am stuck with a machine that is useless. My first thought was….are you holding the thread when you first start sewing? They say you don’t need to but I have found unless my thread is incredibly long that I still need to hold it so that it doesn’t get sucked into the bobbin and jam. After about three stitches you can let go and continue sewing. Also, knit is harder to sew than cotton so maybe try with quilting cotton to see if everything works ok. Apparently a walking foot also helps with knit. Did you take the lesson on how to use the machine? I think that is a Bernina standard and not just my shop. 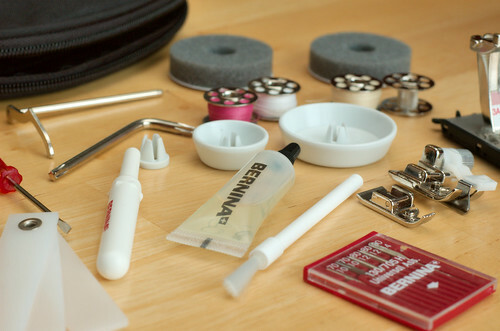 I think all purchases for a Bernina are supposed to come with one free lesson. So maybe check into that at your shop. Also, have you had the shop take a look at the machine to make sure everything is working ok? If so, did they show you that it was? Hopefully you can figure something out because this is really a good machine if it’s working properly. Good luck and if I can help in another way I will try! 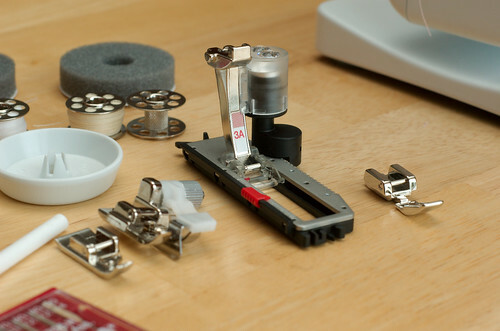 Hi, I was having a problem like that with my Bernina but I read somewhere to make sure the presser foot is UP when you are threading the top. It still happens once in a while if the thread is not pulled back a bit from the work, but this has made a huge difference. I love my Bernina! 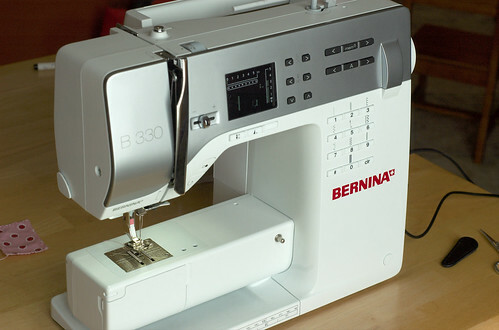 Thanks for forwarding Sharon’s comment regarding the Bernina 330. As I have not yet taken it back to the shop for service I’ll give her suggestion a try. I really appreciate your hanging in there with me on this. I did put in a lot of research time in before purchasing this machine. Now I feel as though, in spite of that, I still may have been taken. 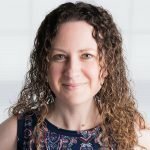 My husband did call the shop and after he told the person my story the first thing out of her mouth was “Well, we won’t refund your money only give you store credit.” Yikes! I guess after they have your money there is no customer service. I will keep you posted on how the problem is resolved…or not. I just finished the lessons that came with the B330 and what they said is if you have a problem with the bobbin thread, it’s opposite and related to the top of the machine threading. They said to always thread with pressure foot up AND change the needle for every garment you sew. I don’t totally understand why changing the needle matters that most. But, when I have those sorts of problems you describe, I re-thread the top, make sure the threads are removed from the bobbin case, and use a new machine needle. Good luck. I just opened my Bernina 330 and when I did the bobbin casing was loose and the door to the bobbin area was open. The bobbin and casing were just rolling around. It took awhile to get the casing aligned and the bobbin in place. It was okay for a few stitches and then the bottom stitch would hold and the machine made a strange noise when stitching. I turned off the machine and the bobbin door burst open the casing and bobbin tumbled out. I can’t get the bobbin casing to stay in. I have to tip the machine over to see inside it to try to get the casings in. It’s a nightmare. The machine cost $1100. I feel like I got really ripped off. I had a Singer that never gave me any problems. I thought I was upgrading with the Bernina but I am so disappointed. I hope I can return it and walk away. The manual is horrible. It’s so poorly diagramed and does not have enough information. 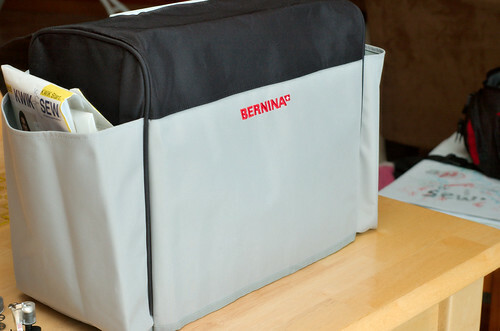 How do you like your Bernina now that you’ve had a few months? I’m hoping and saving up to buy either that one or the 350 model. I’ve always had very basic mechanical machines and want to upgrade! Can I also ask how much you paid for yours? Love your blog by the way! So helpful and encouraging! Hi Holly! I also emailed you with a little bit more information but wanted to post on here so others could read my response about my machine. Someone else just asked the same question so I’m going to copy part of my answer. 🙂 And actually, she decided on the 330 but I haven’t heard back if she got it yet or not. The manual is decent but can be confusing. So far though, I have been able to figure out exactly what I am trying to do, such as saving words into the memory. Honestly, I can’t think of anything else that I have complained about. I even asked my husband if I have complained about anything and he said no. Once getting my walking foot I have literally had no problems with sewing anything, it pulls multiple layers through and even will without a walking foot but of course won’t be as even as with the walking foot. BUT that is the foot not the machine. I think the 330 and 350 are pretty much the same machine except the 350 has more stitches and I think a few other things. But the “guts” are essentially the same. The 300 series of Bernina machines are lovely. I have a 380 and it is a lovely machine. I would highly recommend it to anyone that wants a great machine but does not need the extra functionality of the higher end machines. I also have a 640. It too is a nice machine. I use them both. Gotta love a Bernina! I just got a Bernina 330 for Christmas from my husband and I love it. It took me a while to figure out the instructions. I am wondering how to attach the seam guide to the pressure foot. Also, I have not been able to figure out how the automatic needle threader works. Maybe I am just a little slow! So exciting!! It can be confusing and even still now I struggle with saving letters. As far as attaching the seam guide, which foot are you using? When I took my free lesson they actually said that a normal foot couldn’t be used with the seam guide and didn’t know why they included it. BUT, I was able to put it in the small square (with red in it) on the shaft part. I mainly use my walking foot and there is an extra piece that tightens the seam guide down. The automatic threader…I also had issues in the beginning. It gets easier with time once you figure it out though. I found this video which should be helpful. It also gives you some of the other “basics” of the machine. They also have a few other videos that might help. Oh, and the video is for the 380 but it’s the same except we have a few less features. Oh Mereidith, if you’re a little slow, I must be at a standstill!!! I’m just starting to use my brand new Bernina 330, and I can’t even get the foot off that was attached when it came! So frustrating, I’ve had it nearly 3 weeks and waited a month for it to come.I’ve released the foot but just can’t get it off. I’m googling to see if I can get help, so think I’ll try the video clip. Feels good to let go of my frustration though! Sue, are you trying to get the whole thing off (foot and post) or just the foot? If it’s just the foot then just push the red “button” on the post when the foot is lifted. It should then just fall off. If you are trying to get the whole thing off then lift the small lever and pull the post down. Then the foot and post should come off. Oh! It’s the buttonhole foot? That one doesn’t come off of the “post”, it came with it all connected (which is how any new foot you purchase will be). Even though your retailer didn’t offer a class you should be able to ask them how to do it. Check out the videos on Bernina’s site found here. Especially the Setting Up the Machine video. Thanks for the review. I’m hoping you can help me out. I’m trying to decide between this and a Juki DDL-8700, a recommendation from a good friend, and I’m not sure which to go with. I’ll be sewing selvage denim jeans, jackets, totes, and other menswear items so I need something that can sew through some pretty tough stuff but that is good for details like button holes and bartacking. I was able to test out the 330 the other day and it seems like a pretty good machine although the price tag is a little steep. Help? I used to sew a lot of knits a long time ago. You need to use a ball point needle. Perhaps that’s where your problem lies. Good Luck! i love it but its so hard to set it up and so frustrating!!!! Hi. I bought the Bernina 330 in January and have had loads of problems. I’ve been sewing for over 40 years, and always wanted a Bernina. Have you got any advice for me please? Tonight, I’d been using the zigzag stitch and changed to the straight stitch. The needle position wouldn’t move beyond just to the left of the notch in the centre of the foot. I kept trying to sort it. Sometimes the button wouldn’t even press, and the needle position stayed to the left of the notch. Then I found that the stitch width hadn’t reverted to zero. Surely, in a macine of this price, you shouldn’t have to physically press a button to get rid of the width? Also, when I press reverse stitch (once), my machine occasionally reverses continually! Do all 330 users have problems like this? I’m taking it back to the shop to get it looked at. For a simple machine, it’s caused me no end of headaches. I hope you don’t mind this long email, but I really want to know whether my machine is normal, or am I just being fussy? Although, having said that, when the reverse stitch carries on in a tiny stitch, it can ruin what I’m doing! I believe you got a bad machine. Since the day I purchased my 330 it has performed beautifully. I have an 830 and happily transition to the 330 for class or travel. It is solid and dependable. I have a Bernina B330, purchased last summer, was really looking forward to automatic buttonholes as previous machine 40 years old. On practising the buttonholes at first they were misaligned, having stitched the first length and pressed reverse the machine did not travel the full distance back and stitched bar tack too soon then came down the full length and stitched last bar tack way beyond the distance of first length. This problem then disappeared and I was able to stitch some 10 buttonholes as required. But now I need more buttonholes and the practice ones are misaligned again and I can’t seem to overcome problem – I have watched the video and I seem to be doing everything correctly. Any ideas please. I purchased a new Bernina 330 a couple of months ago and plan to return it. The tension is awful and I am threading it correctly!! I have taken the machine to the dealer twice and the service technician made an adjustment to the bobbin, but I still see some looping which will make my quilting jobs look cheap. The recommended thread (Mettler) leaves behind lots of lint so I tried using Gutermann, but those changes don’t help at all. For the price I paid I expect better quality especially from a Swiss machine. i have a Bernina Deco 330 embroidery machine . The needle thread keeps on clogging up under the material with the bobbin thread and then jams up the machine. What should the bobbin tension be? I am embroidering on normal cotton with normal backing. Pingback: Lillian Sews: Basic Skirt Sewing Novice | Sewing Novice - A beginner's resource for learning to sew. The presser foot lever on my bernina fell off along with the pin. Am i able to fix this myself of do i need to send it in?